Artificial intelligence has been around us for quite a long time now and has made immense improvement as well. AI has become the part of our daily lives and marketers have realized its power in the world of marketing. It has become even more accessible to brands. Artificial Intelligence has become the hot topic amongst marketers these days. It helps marketers to understand brands and customers more closely. It will also help in making a loyal customer base. The one thing which is the soul of any business is the data. There is a lot of data available to businesses these days but what matters is how they use it to understand their consumer's demands. 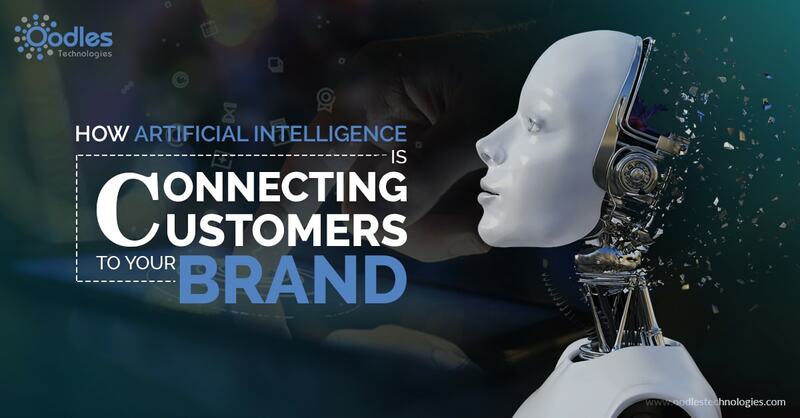 The bond between brands and customers are growing as they are continuing the use of machine learning and If the company continues to respect the data given to them then it can change their whole level of business. Artificial Intelligence is the perfect example of utilizing that data, this helps in better understanding, learning and interacting with the consumers. Thus more and more brands have started using AI for the customer services. In this era of digitalization, customers want authentic brand experience or else they will switch to someone else. Marketers thus need to focus more on the customer strategy and AI helps them to achieve it easily. AI has become the primary influence over the consumer, they help in making product purchase decision. Companies are working closely with the machine learning and AI techniques to deliver the great experience to customers. They use and alter the data accordingly to analyze the customers need and offer the experience they desire. Not only that the data-driven AI helps in enhancing the buying experience of the customer. The relationship between the humans and machines is changing, they bond is getting, even more, stronger day by day. With the help of machines, finding the right audience for their product is the common marketing strategy as its the easiest way to realize a good ROI.